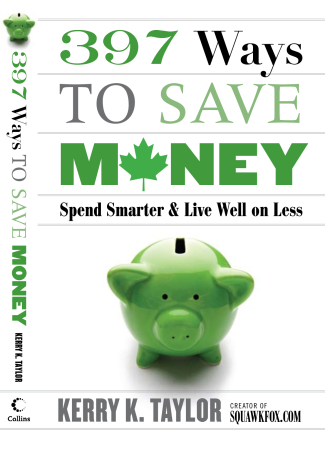 By looking in every corner of every room in your house, from the kitchen to the closet, and by considering the needs of every member of your family, from your toddler to your dog, 397 Ways to Save Money will help you find thousands of dollars in savings. Raise your homeowner insurance deductibles from $250 to $500 you’ll save up to 15 percent on your premiums immediately and more in the long run because making fewer small claims helps keep your premiums from increasing. Brush your dog’s teeth–it sounds like a silly task, but dental cleanings at the vet can cost between $200 and $500. Pick up a toothbrush and toothpaste at your pet store, and brush up those savings. Watch those drinks! Eating out with the family is much cheaper if everyone orders water. Adding three or four chocolate milks or Cokes to the bill can easily boost the cost by $10. Forgo your beer or glass of wine and save even more.